Last weekend, I shared my 2018 Holiday Gift Guide for Cooks. 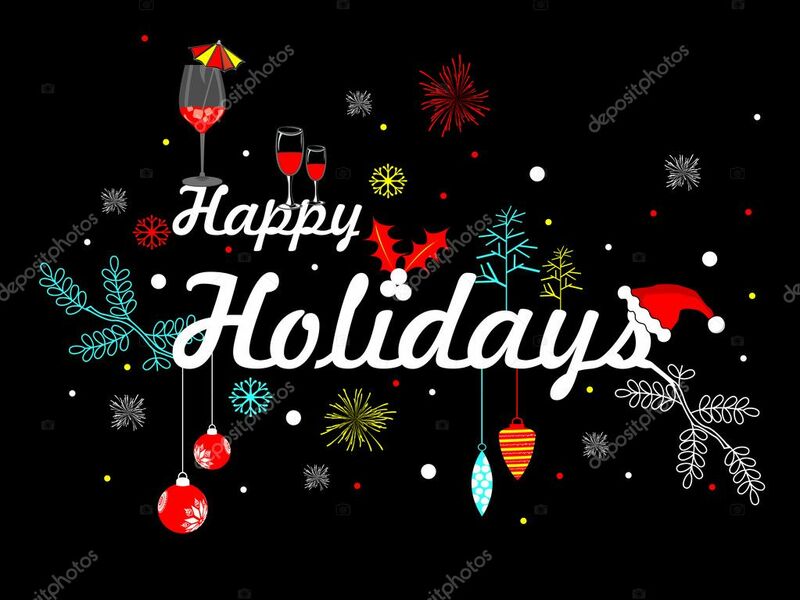 Today, I'm back to with my 2018 Holiday Gift Guide for Foodies -- featuring the very best mail order food gifts you can order or send to the food lovers in your life. Whether you're looking for something savory or sweet, I've got you covered...and these gift suggestions fit a wide range of budgets. My goal was to share a well-rounded group of gift ideas so there's literally something for everyone! 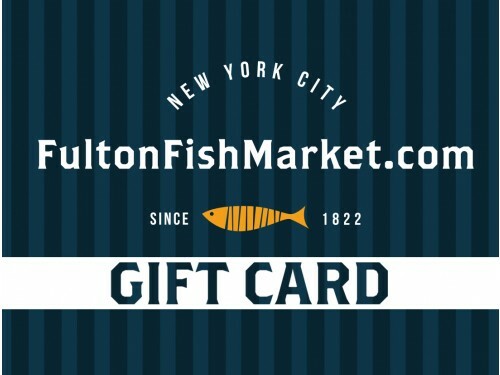 (1) Fulton Fish Market Gift Card. For the seafood connoisseurs in your life, a gift card to the iconic Fulton Fish Market is a fabulous gift! Their consumer seafood is selected first because of its taste. One of Fulton Fish Market's quality directors is a Culinary Institute of America (CIA) graduate and seafood chef. 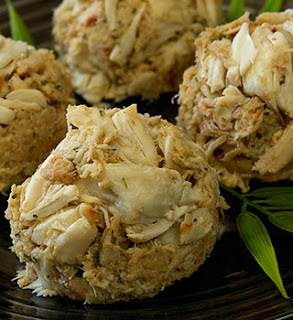 You can rest assured all fresh seafood featured at Fulton Fish Market's website has undergone a number of taste tests with chefs and foodies. If it meets the taste test, then other criteria are evaluated. FultonFishMarket.com features the largest assortment of the quality fresh seafood available anywhere -- purchased online and delivered direct to the customer's home. Every midnight, 1-2 MILLION pounds of fresh seafood arrives at Fulton Market docks in New York City. Fulton Fish Market's online store features a broad range of fish -- whole and fillets; oysters, clams, and mussels; shrimp and scallops; and crab and lobster. 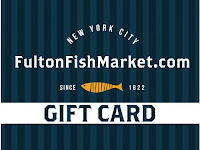 Fulton Fish Market gift cards can be purchased for as little as $10...up to $1000. It's a gift that can literally fit any budget! (2) Butcher Box Gift Certificate or Curated Box. 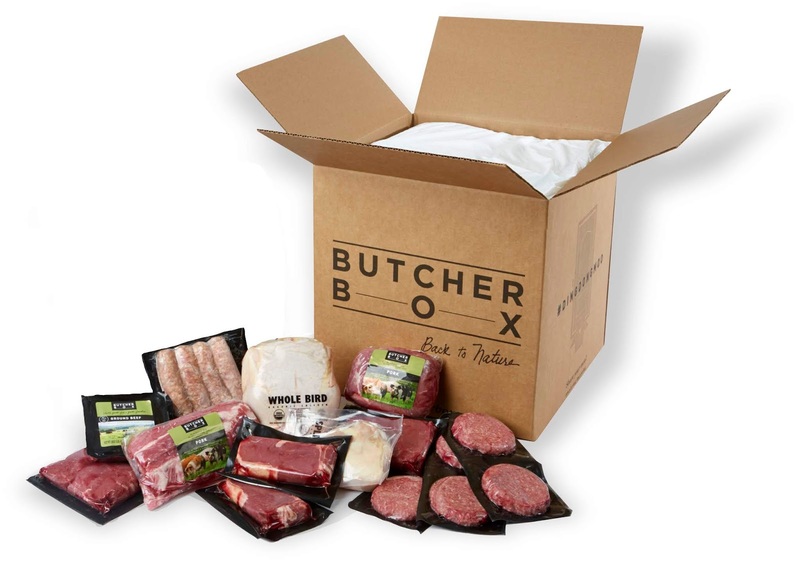 For the carnivores on your holiday shopping list, Butcher Box is an ideal gift! Butcher Box is a monthly delivery subscription service that sends two types of boxes: (1) boxes of beef, chicken and/or pork curated by Butcher Box and (2) boxes customized by the customer. To ensure the meat arrives in great condition, each shipment arrives frozen inside an insulated box that contains dry ice. Butcher Box meat is of the highest quality! Beef is 100% grass fed/grass finished, chicken is free range and organic, and all pork comes from Heritage breeds. For gift giving, Butcher Box sells gift boxes, gift certificates, and gift cards. To order gifts, gift cards, or gift certificates, call Butcher Box direct at 1-888-751-2869 (Press 1). (3) Victory Love + Cookies. Who wouldn't love to receive a box of delicious, freshly baked cookies?!?!? I certainly can't think of anyone. I recently discovered Denver-based Victory Love + Cookies, and they're fantastic! I was initially drawn to Kristy Greenwood's cookies because her Lucy line is named after her cat. I had a beloved cat named Lucy (she's the angel cat in my header! ), which immediately grabbed my attention. 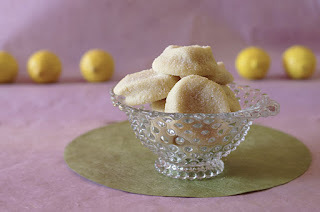 After tasting her sweet-tart Lemon Lucy cookies? I knew my initial instincts were spot on! Her entire Lucy line is made with almond paste, for a perfect chewy consistency and intense flavors. Kristy also makes traditional cookies like Oatmeal Raisin and a chewy Ginger with pieces of organic candied ginger. Prices for cookies range from $14 to $24.50. Please note that all Victory Love + Cookies items are baked to order after purchase, so please allow at least 48 hours for them to be baked and prepped for shipping. Orders are shipped Mon-Wed via USPS. For an additional $3.50, Kristy will provide eco-friendly gift packaging for your order! 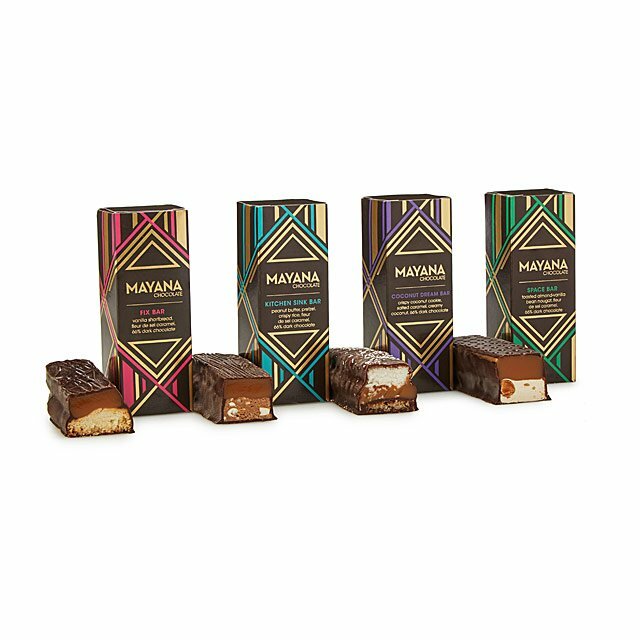 (4) Mayana Decadent Chocolate Bar Quartet. 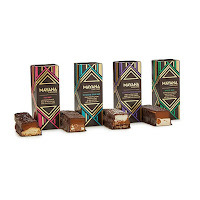 For the chocoholics in your life, Wisconsin-based Mayana Chocolate's Decadent Chocolate Bar Quartet ($34) is a unique and delicious gift. gift! Award-winning chef Daniel Herskovic pairs high-quality 66% dark chocolate with organic cream and a wide range of creative ingredients to craft these hand-crafted chocolate bars. Each one features a perfect balance of flavors and textures. The Fix bar features vanilla-bean shortbread and fleur de sel caramel. The Kitchen Sink bar (a Food & Wine Editor's Pick!) includes peanut butter, pretzels, and fleur de sel caramel. The Coconut Dream bar showcases dark cocoa and crispy coconut, and salted caramel provides another layer of deliciousness. Finally the Space bar's vanilla bean nougat, toasted almonds, and fleur de sel caramel is perfect for nut lovers. These bars are decadent and rich -- making them perfect for sharing. The four-pack of Mayana Chocolate bars are packaged in beautiful Art Deco-inspired packaging. Visit the Uncommon Goods website to order this delicious artisan chocolate. (5) bnutty Peanut Butter Sample Pack. Peanut butter is a favorite food for many food lovers...perhaps it speaks to their love of childhood PB&J sandwiches. bnutty takes peanut butter to gourmet heights, offering 15 amazing and creative flavors, including S'more Dreams and Totally Toffee! All bnutty products start with honey roasted peanuts for a light sweetness. Their online store offers 10 year-round flavors and five seasonal flavors in 12-ounce jars for $8.00 each. 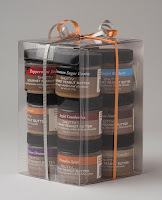 Simply pick a few flavors, and bnutty can create a customized gift basket for you! However, my favorite bnutty gift is the fun Sample Pack. For $25, your gift recipient will receive two-ounce jars of TEN different bnutty flavors packaged in a gift box! It's a great way to taste a wide range of bnutty's yummy peanut butters and pick a favorite or two. (6) Centerville Pie Company Choose Your Own Pie 2 Pack. Cape Cod's Centerville Pie Company first gained notice after Oprah declared its savory Signature Chicken Pie as one of her Favorite Things in 2009. 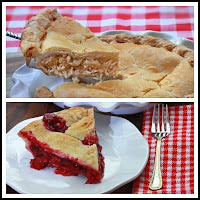 Centerville offers several savory pies in a wide range of tasty flavors! The Signature Chicken Pie is indeed delicious -- it features huge chunks of pulled chicken meat and gravy enclosed in flaky pie pastry. Imagine the best ever chicken pot pie minus the veggies and you get the delicious picture! My personal favorite Centerville Pie Company savory pie is their comforting Shepherd's Pie! This pie is a complete meal that features a flaky pie crust base filled with seasoned ground beef sautéed with onions...then topped with corn and buttery mashed potatoes. Trust me...this pie is as delicious as it sounds! Centerville Pie Company ships its pies in the U.S. via Goldbelly -- the Choose Your Own Pie 2 Pack is an ideal way to try two different pie flavors for $99 -- including shipping. 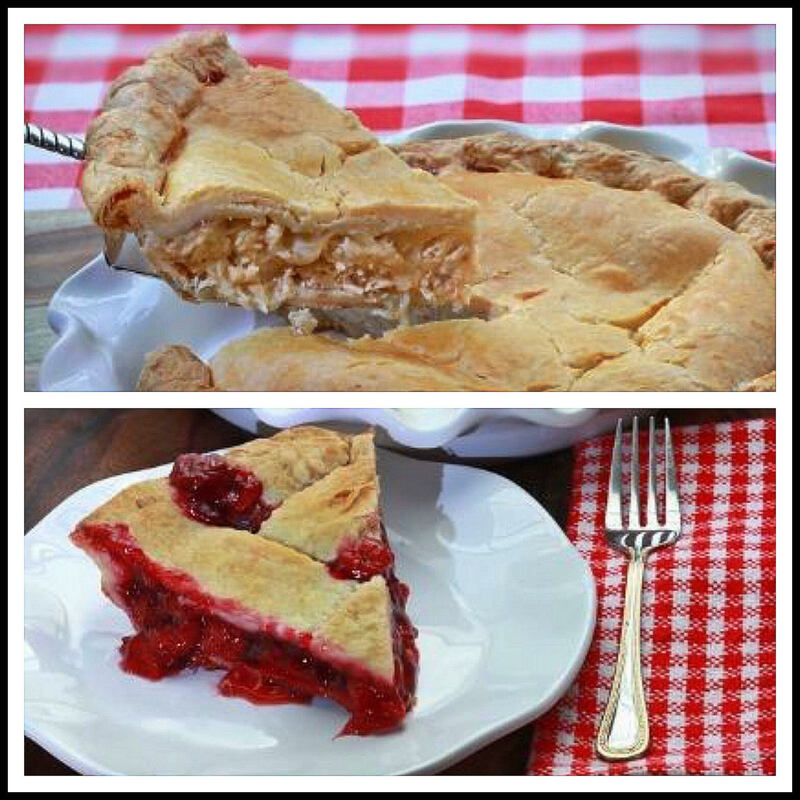 Centerville also bakes sweet pies (including apple and cherry), so the two-pack is the perfect way to send a savory AND a sweet pie. That combination will provide a complete dinner on a chilly night! Pies arrive frozen and sealed, and they reheat beautifully in the oven. (7) Murray's Cheese Gift Collections. New York City's Murray's Cheese is one of the country's premier cheese shops...as their banner says, they know cheese! For the holidays, Murray's offers a range of curated gift collections that feature cheese and perfectly paired accompaniments. 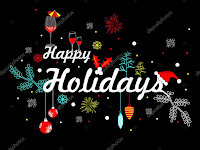 Gift collections include Cocktail Hour Staples, Late Night Snack, and The French Connection...there are even collections created to pair with Red Wine Lovers, Champagne Lovers (hello NYE!! ), and Scotch Lovers. A fantastic all-around collection is the Greatest Hits ($95), which contains 2 pounds total of the following cheeses: Murray's English Cheddar, Mini Brie, Cave Aged Gruyere, 1-Year Aged Manchego, Spiced Cherry Preserves, Marcona Almonds, and Z Crackers Sea Salt and Olive Oil Crackers. It's literally a holiday party waiting to happen! Murray's Cheese Gift Collections range in price from $30 to $255. Prefer to build a customized collection on your own? No problem! Murray's Cheese sells a decorative wooden gift crate for $15. 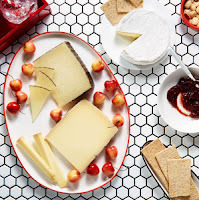 Then, you pick up to 10 small items from the convenient Murray's Cheese Online Gift Builder (i.e., half-pound servings of cheese, nuts, fruit, charcuterie, condiments, or serving utensils). Whatever your budget, you can create a personalized holiday gift masterpiece! Murray's Cheese will assemble your selections in the wooden crate and ship direct to your gift recipient! (8) Pudding on Smiles Smiler 6 Packs. Being a proud Texan, I love to feature Texas-based companies whenever I can. 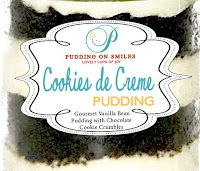 This Fall, I was introduced to Dallas-based Pudding on Smiles. Their gourmet puddings are definitely a step up from the pudding you remember from your childhood. I just love them! With fun flavors like Velvet Dreams, Going Bananas, Ms. Berry, and Cookies De Cream? Each single-serving dessert jar is a smile waiting to happen! The pudding in Pudding on Smiles dessert parfaits is rich and cream -- it reminds me more of cheesecake than traditional pudding. Each jar is layered with cake or crumbled cookies/grahams...pudding...and other flavorful ingredients. The best way to gift Pudding on Smiles is to order one of their five varieties of Smiler 6 Packs for $31.99: Classic Treats, Decadent Desires, Vanilla Delights, Thrilla in the Nilla, and Box of Chocolates. Can't decide? Pudding on Smiles also offers gift cards starting at just $10. (9) Tucson Tamale Company Box of Happiness. Tamales are a traditional Christmas food for many families here in San Antonio. 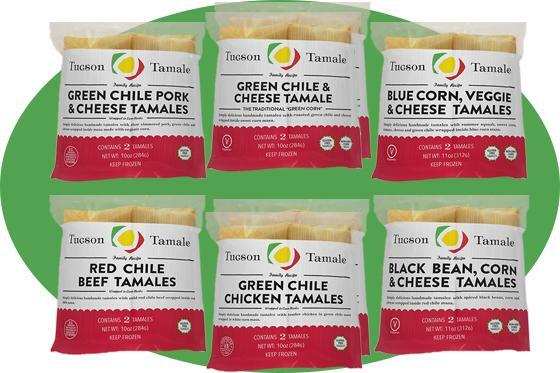 Arizona-based Tucson Tamale Company's Box of Happiness sampler is a great way to gift your favorite Mexican food lover with tamales for the holiday season! This gift contains eight two-packs of tamales in six great flavors for $58: Green Chile Pork & Cheese; Green Chile Cheese; Blue Corn, Veggie & Cheese; Red Chile Beef; Green Chile Chicken; and Black Bean, Corn & Cheese. The tamales arrive frozen, and each package can be heated in the microwave and ready to enjoy in about 5 minutes! The masa is soft and flavorful, and there is plenty of filling inside. Tucson Tamales are naturally gluten free, made from organic non-GMO corn, and use antibiotic- and hormone-free pork. Disclosure: The companies featured in this Holiday Gift Guide provided me samples of their food items. I only recommend items to my readers that I have personally tried myself and enjoyed. All opinions stated are solely my own.